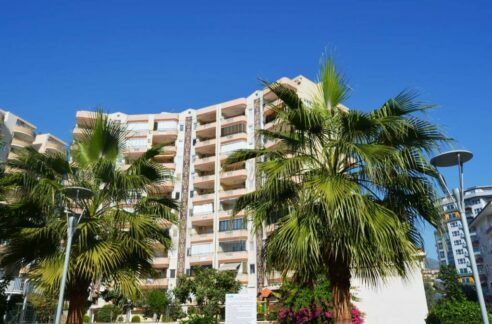 This property is located in one of the best locations in the city Alanya Mahmutlar. As well, the shopping of area are just outside the door. The apartment belongs to a residence House and located on the 4.Etage. The system include a very well-kept garden and pool area, communal pool, Concierge, fitness, sauna and Hammam..The residence consists mainly of European residents.